What if you inherited Sherlock Holmes's book of unsolved cases? 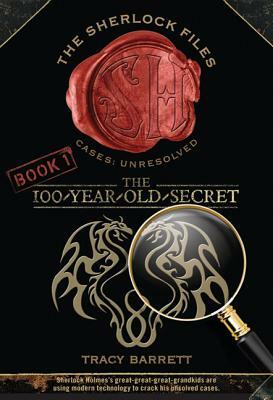 Xena and Xander Holmes have just discovered they're related to Sherlock Holmes and have inherited his unsolved casebook! The siblings set out to solve the cases their famous ancestor couldn't, starting with the mystery of a prized painting that vanished more than a hundred years ago. Can two smart twenty-first-century kids succeed where Sherlock Holmes could not? Modern technology meets the classic detective story in The 100-Year-Old Secret, the first in Tracy Barrett's terrific new mystery series that will intrigue young sleuths everywhere! Tracy Barrett is the award-winning author of several books for young readers, including the Sherlock Files books, King of Ithaka, Cold in Summer and Anne of Byzantium. Her books have been named an ALA Best Book for young adults, a Bank Street best children’s book of the year, and a New York Public Library Book for the Teen Age, among many other honors. She is a professor of Italian language and civilization at Vanderbilt University and lives with her family in Nashville, Tennessee.